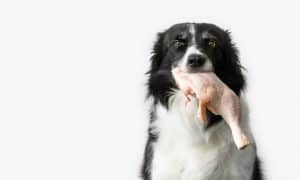 Recently, both the American Animal Hospital Association and the American Veterinary Medical Association (AVMA) have taken a public stand against feeding raw diets to pets, warning that they are risky to pets and humans. However, many pet owners (like myself) are passionate in their belief that raw feeding is both safe and healthy for their dogs. 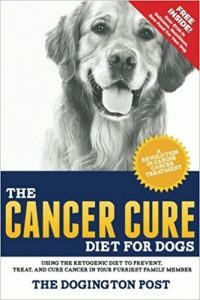 As someone who has been feeding my pets a raw diet for many years, I have witnessed first-hand the improvements in health, vitality and behavior they experienced simply by switching their diet to raw. I was at my wits end with Nelson. When I adopted him from the SPCA he came with a horrible case of diarrhea. His vet diagnosed him with IBD and prescribed special diets and medication. Nothing helped. After months of getting nowhere with his treatment, a friend suggested I try feeding him a raw diet and explained how she’d had success with her cat who had the same problem. The decision to go raw was not easy for me. I was, simply put, terrified. I’d heard the warnings about salmonella, worms, choking on bones, et al. My veterinarian, whose lobby is stocked to the ceiling with Science Diet, was not on board. I spent countless hours researching, joining forums, talking to people who had success with raw diet before I finally took the plunge. Nelson gobbled it up as if it was the meal he’d been waiting his entire life for. Within 24 hours, much to my surprise and probably his, Nelson took the first solid poop he’d had in months. Yes, the results were that fast and I was converted. By this time, I was converting all of my dogs and cats to the raw diet and was seeing similar improvements in all of them. Some, like Nelson, were very easy to switch to raw. Others were a little more difficult to make the switch. You see, raw food doesn’t have an odor. It isn’t sprayed with animal fat to make it enticing to eat. It isn’t loaded with addicting carbs. Many of my critters would give me a confused look when I put a plate of raw food down in front of them. They didn’t realize it was food! My girl, Mandy, was especially reluctant to give up her kibble. I can look back and laugh now, because today she is my very best raw eater. Mandy will chew through whole raw bones now! I look back on the days when I was stressing out about switching to a raw diet and think how silly I was. 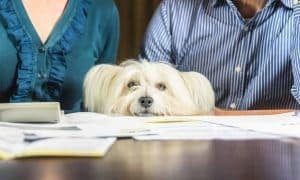 Ironically, I never once stressed over feeding my pets kibble – and how many pets have died since the 2007 recalls from kibble? Thousands. Yet we fear feeding them a raw diet. Why? For one, we are concerned with bacteria contamination & Salmonella. Do you realize, all the 2012 Diamond Pet Food recalls that affected some 14 premium brands of dry and canned pet food were due to Salmonella? This is not a raw diet problem. What’s more, animal experts remind us that the canine intestinal tract is adapted to handle meats that have been contaminated with bacteria. Dogs have a shorter intestinal tract and a shorter digestive time and higher acid in the stomach. When combined with proper handling and washing hands, the risk is very low. Some warn that parasites may exist in raw food. However, pre-freezing meats will eliminate some parasites. In the 5 years I’ve been feeding raw diet, I have not had any incidence of parasites in my pets. It’s an incomplete diet. This was my biggest fear when switching to raw. It’s the reason I bought commercially made raw food – because the manufacturers did the work to balance it for me. I wanted to be sure my pets were getting the proper vitamins, minerals and nutrients they needed. And, after a year of buying commercial raw food, when I was much more comfortable with the concept, I started making it myself to save money. Since then, I’ve had complete blood and urine analysis done on all of my pets and they all pass with flying colors! My raw fed pets have fresh breath, clean white teeth, small and odorless poop, muscular bodies, and increased energy. 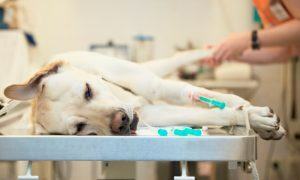 They make less trips to the veterinarian because they have few (if any) health problems. And they are fed for less cost than premium canned food. How many of us can honestly say this about our pets? I’m not writing this to convince pet parents to stop feeding commercial dog food. In fact, I believe there are some great commercial foods available. What we feed is our choice. If you’re considering it, know that choosing to feed raw will put you in conflict with many vets and pet owners. When I saw the benefits in my own home and understood they far outweighed any risks, I became a raw diet feeder for life. After the arrival of my Doberman on my door late one night. I bent over backwards to give this tiny girl the best. Instead all I’ve had is one very sick little girl who I couldn’t do a thing with, including walking her down the street. She’d stress out throw up lose condition and hair. Looking at all the beautiful dobies I new there had to something. Last week I started feeding her naturally and the results have blown me away. I have a happy dog who I took to the park! Hello and I’m hoping that someone feeding raw has come across this before, and could advice. Some time ago I switched my otherwise healthy sheltie (he had dental buildup and grease builds up quite quickly in his coat) to raw/home-prepared, but he’s been having intermittent but recurrent episodes of licking around the 7/8 o’clock region of his bum hole, and on the right side of his tail base. This occurs even if he’d had a good bowel movement. He’s also had more episodes of loose stools, and haven’t been able to put the weight he’d lost recently back on. I have honestly not been able to see any improvement with respect to his health, and the only thing that’s kept me going is knowing that this is better for him than processed kibble. I’ve fed both regiments that have or do not have veggies/carbohydrates; I feed a protein (beef/chicken/pork/fish), organ (usually pig liver, at times kidneys), ground eggshells, mix of low GI veggies and pumpkin, some turmeric, fish oil, and yogurt. I’ve also tried the Honest Kitchen mixes. Might anyone encountered this and have an idea what I might be doing incorrectly/ought to do? Thanks in advance! Have you had the annals expressed? I feed all 4 of my dogs raw. I spent hours and hours doing research on my own. One of my pit bulls had severe allergies. I spent hundreds and hundreds of dollars trying to combat this awful issue. Allergy testing ,allergy shots, steroid shots etc. nothing worked. She was miserable. I had nothing to loose and just wanted her to ha a happy healthy dog. So I took the Raw Plunge. The results were truly astounding. After a very short time, I had my dog back. She no longer itched intensely for hours, had a dull spotty coat or runny eyes. She had her energy back and played and ran like never before. With 4 dogs, I can not buy the pre-packaged brands. I feed them whole chicken legs, thighs breasts. Turkey necks, backs. Ground turkey, ground chicken, ground beef and whole red meats. And lots of big red meat bones to chew on. I make homemade cookies filled with nutritious ingredients for balance. Alot of work but worth every penny. And no more vet bills. We’ve been feeding our dogs our own raw diet as well. We tell our customers to investigate alternative foods to feed their pets. So many people settle for the off the shelf commercial product, because they can get bulk for cheap. In the long run this may be doing more harm than good to your animals! Be aware of what you’re feeding your pets, cheaper does not always mean better. We feed our bulldog Stella & Chewy’s raw. It’s eliminated the allergies, sneezing, ear infections & coat issues he had when we got him. We buy the frozen type at our pet store but you can also find the freeze-dried version online, even on Amazon. It’s organic and includes, bones & organs also. 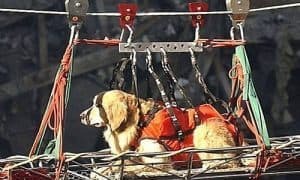 This article came up in my email and I feed my dogs raw. Natures Variety balanced has something in it that my girl reacts to but with primal chicken grinds she doesn’t. I give them beef brisket bones and knuckle bones but I am worried they are not getting what they need in terms of complete diets and that they may end up lacking in some nutrients. Spirulina makes them sick and itch and omega 3 oil make them sick sometimes. They both weigh about 58 pounds and are looking healthy but I am unsure as to what they need and the websites are conflicting and confusing. Would be nice to have something to go by for weight etc as to what they need daily to stay healthy. Start off by Going to a human butchers and ask if they grind up chicken carcasses. Try that for starters. Don’t mix it with anything, just give it to the dog/cat as it is. These ground chicken carcasses can be frozen/kept frozen, take one out night before, leave on kitchen worktop in Tupperware tub, feed it next morning. Any left over leave in fridge for half a day. try to get hold of a book Work Wonders:Feed your dog raw meaty bones, by Tom Lonsdale. You’ll never feed your dog commercial c**p again! Good luck!! As a hobby breeder of shelties, I’ve been feeding raw for decades. I don’t have problems with stinky dirty ears, tartar covered teeth, big soft stinky poop that people who feed commercial food do. I feed all my litters of puppies raw and am working towards a variety of natural supplements to keep my dogs in top notch condition. It takes a lot of reading and discerning the ingredient labels of everything my dogs eat. My vet while not schooled in raw feeding respects my position and I respect him and his group for their expertise in other areas. It’s time we all realized that the commercial aspects of food (human or dog) is what drives what is put in the bags and on the shelves. Only when we as consumers say NO to shoddy products will things change. Anyone want to talk about vaccines now??? LOL! I do the same. I never have to deal with the symptoms of food allergies that dogs eating commercial food develop. While it takes a little effort and research, feeding raw is the best thing I’ve ever done for my dog. I also use dinovite like a lot of other raw feeders to balance nutrition. 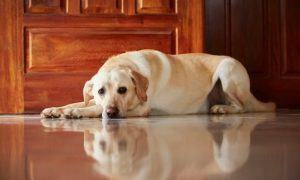 (NOT brown-hard on canine & feline digestive tract)) can be added as to keep costs reasonable. I have a chihuahua who has epilepsy, is overweight from having been on phenobarbitol (he is on potassium bromide now- has petit mal seizures maybe every 4 months),has constant ear infections (antibiotics do not work and don’t want to put him on steroids), is very lethargic and hates all healthy kibble. I want to switch him to raw and do believe it would change a lot. How do I do it? What do I buy and how do I make it balanced (the jargon used above I am not familiar with. 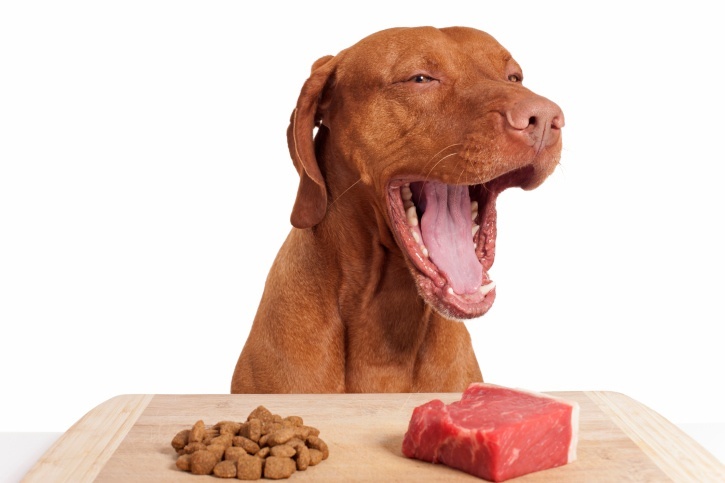 Before trying to make it yourself, you should buy an already balanced raw diet at a pet health food store (you can’t get raw at petsmart), and try it out. Nature’s Variety is a good brand. Also, if you have Instagram, I have an account devoted to pet food, it’s @the_truth_about_pet_food. Good luck! I have a 3 y.o Chihuahua who is solely on raw food. He eats chicken, liver, heart and the ocassional oily fish. The reason I replied to your post was that he used to suffer from constant itching (FAD) and his energy levels would spike throughout the day. After switching to the Raw diet his skin and coat cleared up, he is now balanced and not so ‘hyper’. In addition he has toned up and now had clearly defined muscles and is overall a much happier dog. I know chi’s can be fuzzy eaters but if you start slowly and chop up the food he will quickly get used to it. I just stared my Pomeranian Stella And Chewies. Yes, it is pricey, but the convenience is worth it. His breath is much better. He loves it and seems stronger and more energetic. I have never heard of a problem from anyone except vets who say they have seen issues. I trust raw more than the kibble recalled food any day. I have been feeding my labs raw for the past 15 yrs and I will NEVER go back to commercial pet food! I have had such beautiful results with the raw method. You will however, find it difficult to find a vet who is on board with this type of diet and one who doesn’t blame anything that may arrise on a raw diet…I guess who can blame them, they make HUGE profits off of the sales of their pet food, and they don’t get to see your pets as often, meaniong less $$$ for them as well. Thanks for the article, we have to tick together! Cheers! Raw food is expensive! There is no way around it, but it is the best! I feed my dogs all raw and because I am super busy I tend to buy the more expensive, but more convenient forms (patties, nuggets), but then again I’m paying for it to be easy. If you are trying to feed raw but need some ways to save a few bucks, I suggest getting your own meats (store, butcher) or buy an unbalanced chub at the pet store (cheapest option for raw at the pet store) and then buy a pre-mix (The Honest Kitchen, Sojos) to add to the meats to make them a complete diet for your dogs. 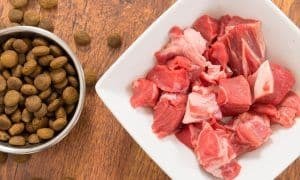 This takes a little work, because you need to portion your own meats and mix up the pre-mix, but it saves a lot of money and gives your dog the benefits of eating raw! 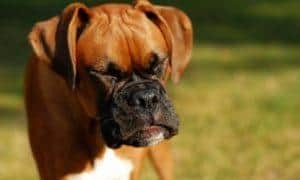 Mixing kibble with your raw can be difficult for your dog to process since raw digests easier and faster than kibble, you don’t want to run into those digestive issues! Good luck and I hope you stick with it! I agree with ALH. Commercial raw food is expensive! Too expensive, in fact, for me. I started with it because it was convenient and took the guesswork out of feeding raw. Once I got comfortable with it and researched, I bought a grinder and started making my own. Making raw myself amounts to about the same cost as feeding premium canned food. At one time I was feeding both kibble and raw (before going to an all raw diet) and I would feed them at least 12 hours apart because they digest at different rates. I have seen reports that feeding at least 1/2 the diet with raw will produce the benefits of a raw diet. So, that is one way to save money. But, after you see the improvement in your pets with raw, you might be like me and not even want to feed kibble anymore! Raw food is expensive if you go with the commercially prepared raw. Just go to the butcher shop and get a box of chicken backs, they’re about $1 per pound. They get bones, meat, fat and organ meat with every single bite and they’re all wonderfully healthy. I have been feeding my 2 dogs raw food for about 4 months. I buy the frozen K9 Kraving from my local farmer’s market. It is a complete and balanced dog food. Lots of yummy flavors (chicken, beef, duck, elk, mackerel, turkey). I made the switch after several dog food recalls and liked K9 Kraving because it is manufactured in the US (Baltimore) and is USDA certified. Have seen health benefits in my Shiba Inu and JRT/Beagle mix. Beautiful coats, normal BMs, no ear issues. Plus they like the taste! I have fed raw for 10 years. Not a cure all, but does wonders!WWW.raw fed.com has great info. 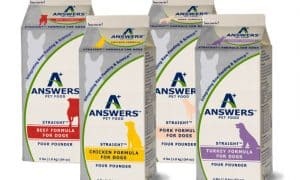 “both the American Animal Hospital Association and the American Veterinary Medical Association (AVMA) have taken a public stand against feeding raw diets” — I bet the huge pet food companies have something to do with this! Plus too many vets make a profit selling kibble and don’t want people to feed their pets food that they don’t sell. $$$$ is not evil, but greed is. You are right! For us, it is even slightly cheaper to feed raw than to buy the premium brand kibble. Our dobie girl is much healthier looking, she has gained nice weight, and most importantly, she is excited about food. This is our second dobie, and both of them hated to eat. They would eat, because they have to, but never happily. I am glad to see that my girl is now enjoying food. We get minced mix with appropriate proportions from a farm whcih produces organic meat, and it is frozen. My doibe girl and I coul dnot be happier. where and what kind of foods/recipes did you feed the dogs. i have been interested in starting my Butterball on raw foods. She is on Halo and I believe it to be good nutritionally, but very expensive.